Learn how to make herbal lip balm using a simple yet flexible recipe of oils and skin-loving herbs. This DIY makes a wonderful winter project or gift idea! The hot summer is already creeping its way into Phoenix this month of March. It started out quite rainy with temps that were wonderfully cool… but just like that – the snap of the fingers, and it’s in the upper 80’s with no end in sight. I know it’s still rather mild, and compared to some areas of the U.S. that are battling with flooding and chilly temps, It feels good to have the warmth of the sun back for a while. This kind of heat is a difficult one to escape. While the upper 80’s is still pretty tolerable, later this summer it’ll be quite hard to tolerate.. Many of our native Arizona desert plants thrive in this heat and bloom beautifully. 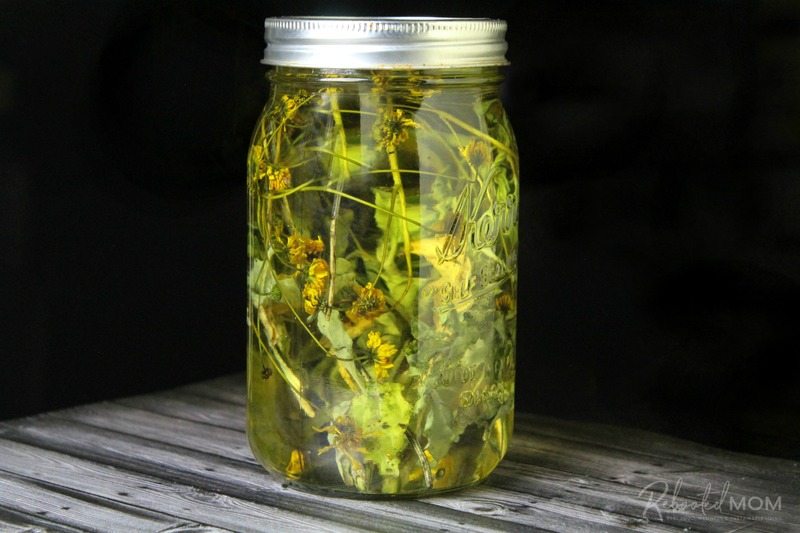 The warmth of the sun is great for infusing herbs into carrier oils. Desert chaparral, comfrey, brittlebrush and even cornflowers make for an incredibly herbal concoctions that are great to use on skin for a little extra support. Brittlebrush is one of many desert shrubs that grow here in the Southwest. Growing 2-5 feet in diameter, it’s common to find it in dry washes, slopes and hillsides away from the threat of the winter cold. When the warmer temps start to creep up in early spring, brittlebrush can be seen flowering on the roadsides and in the desert with woody stems and beautiful yellow flowers. Also known as incienso, the dried sap from brittlebrush was burned by early Spanish missions in the New World as incense. The power of the sun is such a wonderful way to infuse oils and bind them to achieve this richness that each plant holds. We allowed the creosote (desert chaparral) and brittlebrush pickings to dry overnight ever-so-slightly and then added them to a jar and topped with olive oil. We covered the jar with a paper bag so as to avoid direct rays of the sun, and placed it in a warm area of the garden for several weeks. The brittlebrush took on a golden yellow color, while creosote took on a muted green — and incredibly fragrant infusion. 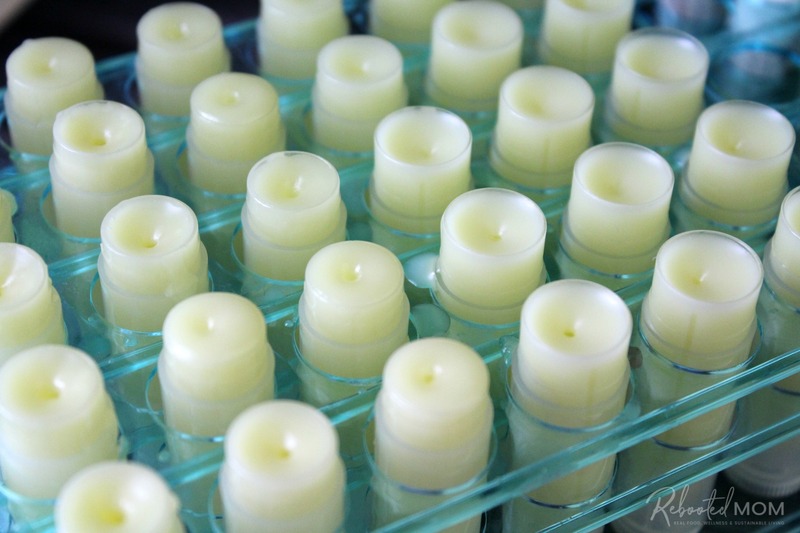 Once they infused, we created these herbal lip balm to enjoy over the next few months. The kids are always using my lip balm so they will be happy to have their own. 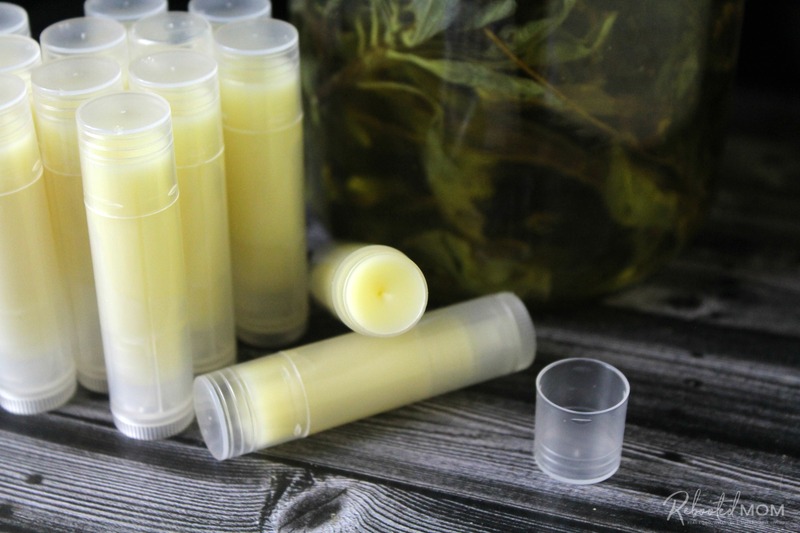 I use a base lip balm recipe and add the strained infusions for the oil. The recipe I have is definitely adaptable. 100% pasatured tallow is a favorite in our lip balms but you can swap out for shea butter if desired. I like my lip balms a little more stiff, so we use a little more beeswax. If a less stiff lip balm is your goal, then decrease your lip balm to .5 oz. A scale is the best way to measure your ingredients to ensure consistency. If you plan on making lots of other beauty items a scale is almost a necessity. Combine the tallow, beeswax and castor oil in a double broiler, or in a tall, glass measuring cup nestled in a shallow pan of water. Use the lowest heat and gently warm until melted – then add the infused oil and give the container a stir. If you are using essential oils add at this time. Pour into lip balm containers. I find that it’s easier to use a glass measuring cup with spout and a steady hand over a dropper. When using a dropper, the solution tends to harden much quicker (and requires you to heat up the measuring cup to liquify again). Allow your herbal lip balm 30 min or longer to harden before applying the cap. Label as needed. If you don’t have brittlebrush in your area, simply use this same recipe with the herbs you have available. This can be done with lavender, cornflowers, roses, plantain leaves, even calendula or chamomile. 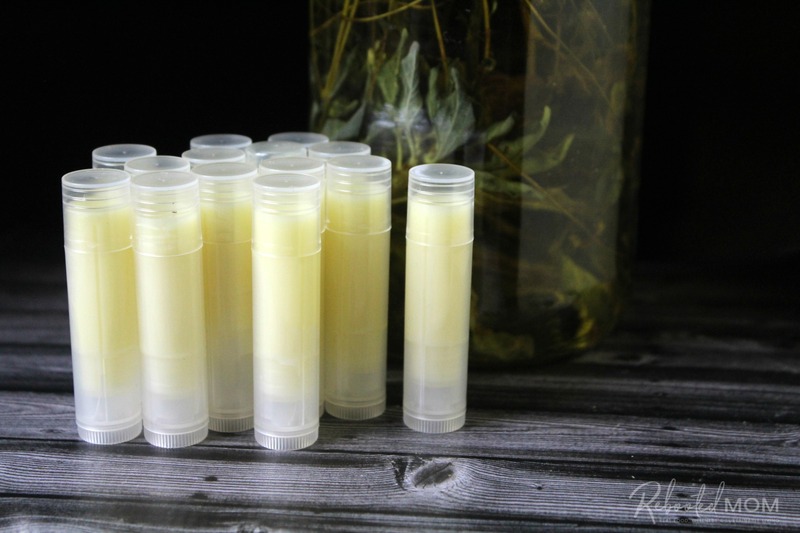 Share the post "Herbal Lip Balm Recipe"